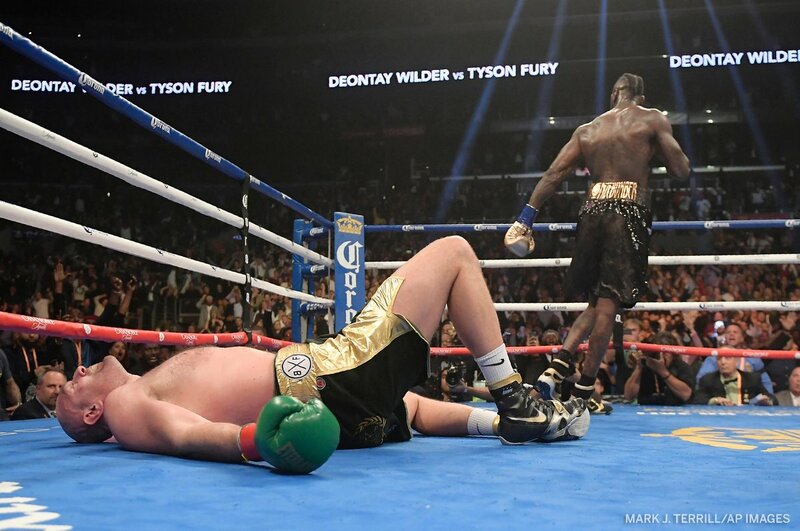 WBC heavyweight champion Deontay Wilder 40-0-1 (39) has paid respect to title challenger Tyson Fury 27-0-1 (19) who remarkably overcame a final round knockdown to hold on for a draw against the heavy-handed American. “I’m glad the fight lived up to the hype, too often that doesn’t happen. I think we both did a great promotion and the fight lived up to it,” said Wilder, who was down on the cards going into the later rounds and needed a pair of knockdowns in the ninth and twelfth rounds to keep his unbeaten record intact. The 33-year-old Bronze Bomber was critical of his own performance, saying he rushed his attack at times and needs to learn to be more relaxed in the ring. “It will be easier in a rematch to hit him because I’ll be more patient. I was too anxious, I was over-shooting and my emotions got the best of me,” said Wilder. “I wasn’t thinking nothing about the score before the last round. Once I scored the knockdown I felt that put me over the top because it was close before that. “I wanted to finish like a champion, I couldn’t just think I was ahead. Sometimes you have to up the pace and do a little bit more. I thought the knockdown sealed it.